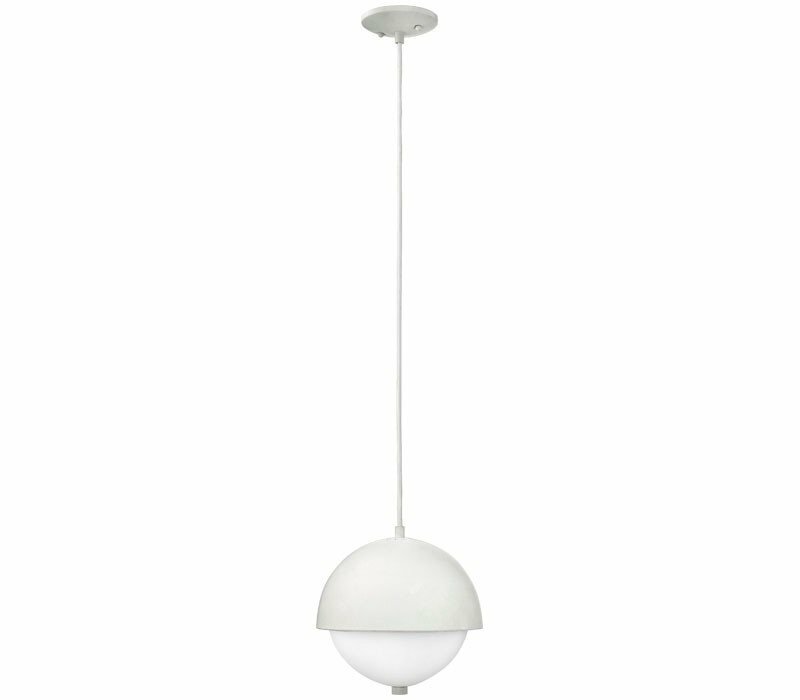 This updated mid-century modern design is available in a Brushed Nickel, Cloud (White) or Polished Chrome finish. A smooth rounded metallic dome is complemented by a recessed inner glass. 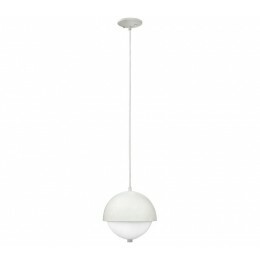 The Hinkley 38510CLD-GU24 Globe collection Pendant Lighting in Cloud uses Fluorescent light output. This item is 11"H x 10"W. The wattage is 26. The Hinkley 38510CLD-GU24 requires 2 bulbs (not included). Additional Information: Shade-Etched Opal Glass.